Spencer Evans had reason to be excited about the coming months as he went into work in early 2015. 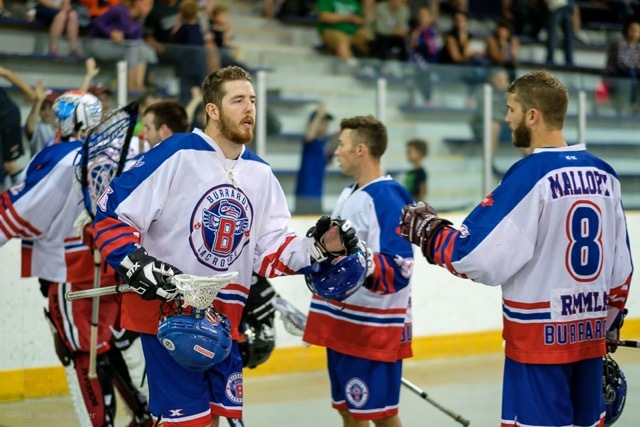 His son would be born later in the year, and he was gearing up for his second season with the Maple Ridge Burrards of the Western Lacrosse Association, the local team he had grown up watching. All of that suddenly took a back seat in Spencer’s mind when a workplace accident sent a heavy steel plate crashing onto the 22-year old’s left arm. After being freed by firefighters, Spencer was rushed to Royal Columbian Hospital, the region’s major trauma centre. Doctors and nurses moved around him as he arrived in the trauma room, diagnosing and prioritizing his injuries. The steel plate fractured one of the large bones in his forearm, dislocated the elbow and – most concerning – injured the major blood vessel in the upper arm. A vascular surgeon took a vein from Spencer’s leg to restore blood flow to the arm. From there, Dr. Stone used screws to fix the fracture, put the elbow back in the joint and repaired ligament damage. He later performed a fasciotomy and skin graft to deal with swelling resulting from the return of blood to the arm. Spencer stayed in hospital for a week and a half before returning home. Following several weeks of bed rest, he turned his attention to regaining function in his arm. Spencer missed the 2015 lacrosse season but stayed close to the team. Slowly but surely, he regained use of his arm. In 2016, he resumed play for the Burrards.